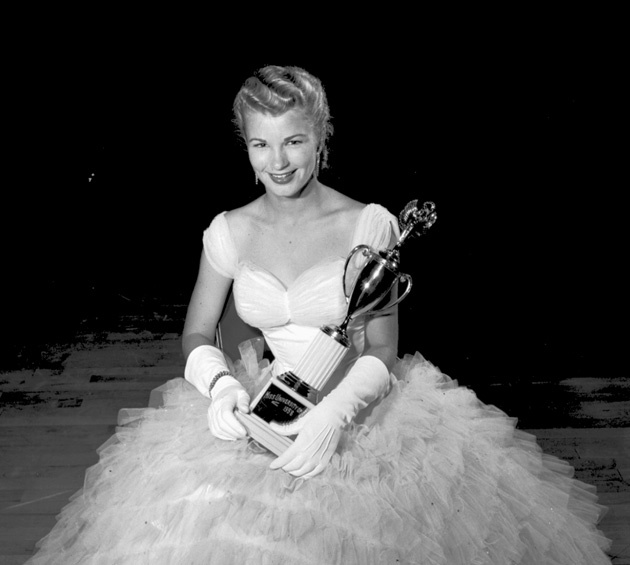 Rosemarie Meeks, Miss University of Florida, posed in gown holding a trophy. See 1959 Seminole Yearbook, pp. 114-115. Photograph 8544 from the University Archives Photograph Collection.